As most fitness business owners, managers, or even entry-level staff members know, sometimes it can feel like the only way to get something done is to do it yourself. However, even the most productive and effectively staffed fitness business can benefit from modern software. Of course, sometimes implementing new software can feel like you’ve taken on a new job without seeing much benefit. That’s why we’ve compiled this list of our favorite, proven-to-be-helpful tools. 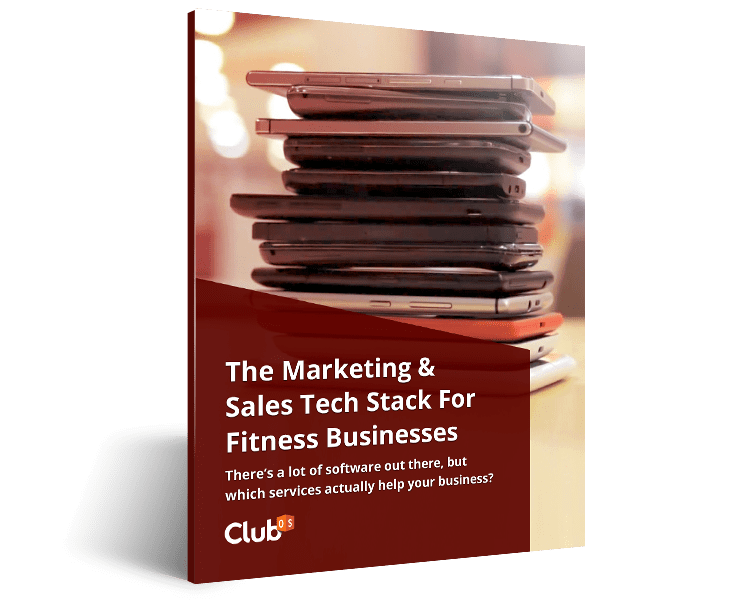 Some software, like Club OS, has been built specifically for fitness businesses while other software is built for a broader professional audience (though still focused on the behind-the-scenes of running a business). Most of these tools are used by the Club OS marketing team as well as countless of our own customers from gyms with hundreds of employees, to smaller single-location businesses with a handful of employees. No matter your business size, these are the tools you need by your side. They’ll potentially bring you more revenue and more time in the day. If you’ve ever tried to manually manage all of your social media accounts, you may have quickly learned how time consuming it can be. And if you’ve been successful in manually managing your social media that may mean there’s room for improvement as it shouldn’t be something you can manually do everyday without it eating into time that can be better spent elsewhere. Plus, even if you’re doing it manually you may not be getting the data and insights that software like Buffer can provide. Do you know which of your social posts are the most successful? If not, how can you know what to post more of? That’s why using Buffer can not only save you time, but also provide valuable data that you wouldn’t otherwise have access to. Pro Tip: Running a business or handling sales all day doesn’t leave a ton of time to post the latest promotion, so plan ahead and schedule your month out on one day, then you don’t have to think about it for the next month! 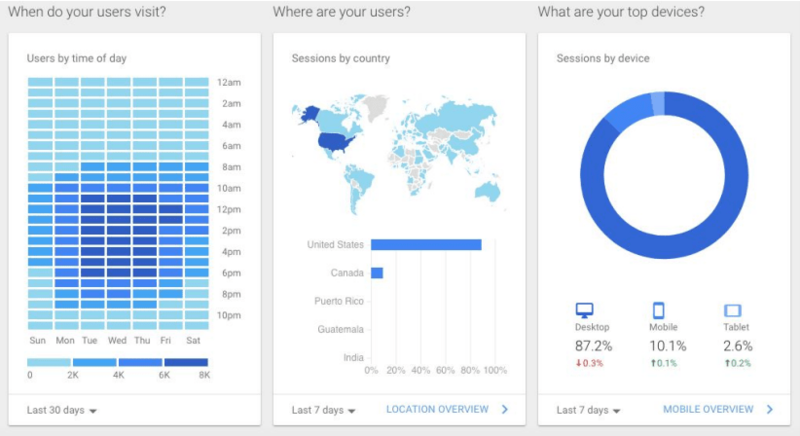 You may already be using Google Analytics to track your web traffic, but whether you are already using it or not, there is always something new to learn. This is a great tool to understand exactly what demographics you are reaching and how that translates to your business. You can find basic information like age, gender, the device they’re using to view your website, and even what location they’re viewing your website from. This is necessary information to have when developing a marketing or sales plan that works. For example, if 80% of the people reaching your website are women between the ages of 20-30, you would want to use images and text that is more geared toward a millennial woman. For a more in-depth look at how your prospects or members are interacting with your website, you can look at their original source, which means where people are coming from that found your website. Some potential sources include social media, Google search, referrals from other websites, and more. This is a good indicator of where to put the most effort when advertising. Pro Tip: Don’t waste your time checking your Google Analytics every single day. This is one of those softwares that you can check once a month and see if there are any new insights you can pull. If you spend extra money on advertising that month, check your results at the end of the month. In a world where mobile reigns supreme, having an app for your business is absolutely necessary. It’s very rare for a fitness business to have a team of app developers and even if your cousin knows a person who knows a developer that helped build MySpace, that doesn’t mean they’ll be able to build you an app that gives you what your business needs. That’s where NetPulse comes in. Not only can you create an app full of class schedules and information about your club, you also allow your members to track their workouts and goals in the app. This is really helpful for your personal trainers when they have multiple clients and a busy schedule. Having the member’s goals right in the app also helps your members stay more accountable which equals better retention for your business. With Netpulse, you can also increase your retention and referral rates in other ways, too. Members can send referral requests directly from the app, or join different fitness competitions that you’re running. Competitions help dramatically increase retention rates as it keeps your members interacting with your business and within your custom app. Netpulse also allows you to send geo targeted messages to customers, meaning you hit them with the right message at the right time. In all, Netpulse allows you to have a branded app for your business, without the hassle of creating it yourself. Pro Tip: Run fitness challenges or group challenges through the app. People are more likely to jump into a competition if they don’t have to stand up in front of a group of people. Send motivating messages, new workout ideas, and watch your members reach their goals! Perkville is a software that allows you to retain your members through rewards and grow your business with referrals. Perkville is unique in that it gives your members “points” every time they come in, attend a class, refer a member, and more. The great part about using a points system like Perkville is that it keeps your members engaged. After they reach a certain number of points, they can win prizes like free swag (water bottle, towels, t-shirt), or even a free month or two. The prizes are entirely up to you. With higher engagement comes better retention. Plus, with Perkville, you’re turning the normal sales funnel upside down. Instead of trying to attract as many new leads as possible, you’re going to be attracting less, but incredibly qualified, leads to your business. This is due to the social component of Perkville. Your members, who you already love, will be actively sharing information about your business on their social media accounts because they want to share the love and win some awesome stuff from you. And just like when it comes to hiring great employees, it’s easier to find amazing new members if they’re referred by the members you already have. You can create a cycle of awesome referrals! Another huge perk of Perkville (get it?) is the ability to customize their plans to fit your business. They integrate with a lot of big names in the industry such as ABC Financial and of course, Club OS. Perkville fits into your current processes, but brings them to a whole new level of success. Pro Tip: Grow your gym or studio’s reach with their social media rewards program. If your members tweet about your business or post on Facebook tagging your business, they can get Perkville points. Not only does this help engage your current members, but it generates more reach on social media. Creative Market is a great outlet for fitness businesses to use when you don’t have an in-house designer. A lot of the designs are less than $15 and you can reuse them over and over again if you buy the correct licensing package. There are thousands of fitness themed packages that you can download and use for pamphlets, banners, postcards, your website, social media, and more. Just simply search a keyword that matches your business such as “fitness” or “gym” or “yoga” and you will find something that works for you! This is a great way for you to have professional looking content without having to pay a designer to come in and create it all for you. Price: Each design is priced differently, usually between $5-$25. If creating a flyer or web design for a single project, you only need to purchase a standard license. Read up on the license requirements here. Pro Tip: Pick two to three different designs you like the most and stick with them. To build your brand, your design has to be consistent and easy to recognize. If you start downloading all sorts of fonts, colors, and images, it can be hard to tell what your brand really is. 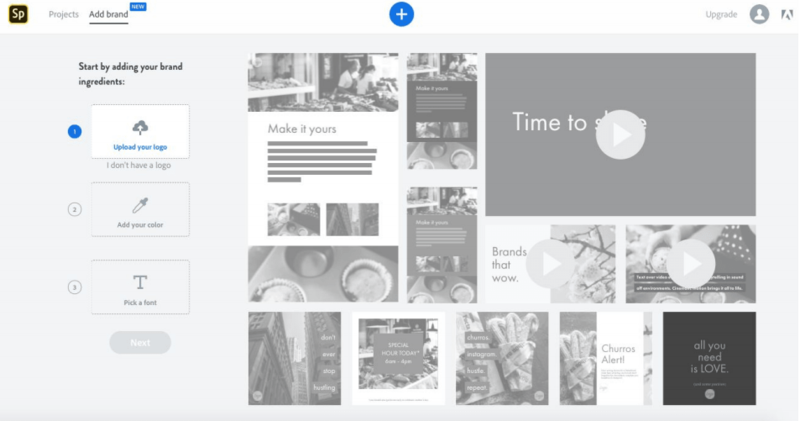 Adobe Spark is a service that is similar to Creative Market, but you can actually create the content within their platform, you don’t have to download it and go create it yourself somewhere else. For example, they have options to create a new post, a new page, or a new video. Once you choose what you want to create, it’s as simple as dragging and dropping. You can add in your brand colors, logo, and copy to make it specific to your gym or studio. You can use these videos, posts, or landing pages to announce sales, promote upcoming events, promote your gym or studio through advertising, and more. Having a professional and unique design at your fingertips allows you to spend more time on what you love, actually working in the gym. Price: There is a free plan and an upgraded plan for $9 per-month. Club OS (Obviously): “Sell More. Do Less. The software you need to convert leads, retain customers, and up-sell additional services in your health club or studio.” We help turn prospects into member and members into advocates. We couldn’t give you a tech stack without mentioning Club OS. When you think of a marketing and sales platform for gyms or fitness businesses, Club OS is the leader in the industry. 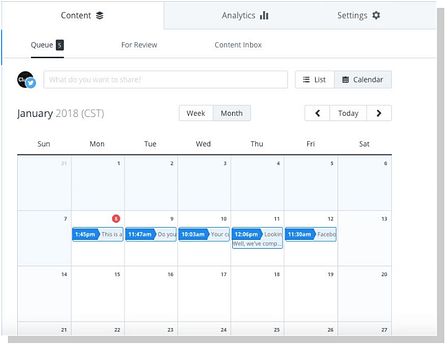 Setup an automated follow-up schedule, meaning you schedule your email and text follow-ups, and they automatically go out to your prospects at your specified time. In addition to follow-ups, you can create and manage email campaigns to prospects and members, schedule the availability of your staff, and grow your business using text messaging. One of the most important Club OS features for general managers or owners is the ability to report on all of the activity happening in your gym or studio. You can pull a customized report based on your membership sales, follow-up activity, delinquencies, and more each week, month, or year. All of the data you could want is at your fingertips. Pro Tip: Club OS is currently trusted by over 3,000 fitness businesses, gyms, and studio businesses just like yours. Don't overlook one of the most powerful business tools: Google Search. Boost your gym or studios' online visibility with our Growing Your Google Presence e-book!